If you’re any kind of camera enthusiast, and you appreciate the way that technology has moved certain processes forward, then you can appreciate some of the new and unusual visual recording methods that have come out recently. You may not necessarily own these, or even be able to purchase them, but still, there interesting to know about. Five these types of cameras, in particular, include cameras that go inside drain systems, medical cameras, 360° cameras, underwater cameras, and drone cameras. All of these use specialized technology in order to perform specific functions. From a typical consumer standpoint, they may not be all that useful, but it’s definitely interesting to note the outliers when it comes to a new technology. If you ever had a clog in any type or drain in your home infrastructure, you know how much of a pain it is trying to figure out how to free it up. That’s why certain companies have invested in drain cameras that snake down and see exactly where the problem is. 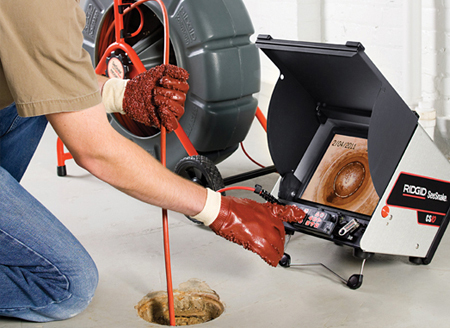 With this kind of additional technology and a visual representation of the problem, cleaning out drains that are stuck has never been easier. This is a massive increase in efficiency of an industry simply because the cameras are available. Another interesting industry that’s using very small cameras to perform a function is the medical industry. If you research medical cameras, there are fantastically small ones that are used to help with surgeries and other procedures when doctors don’t want to be invasive. These tiny cameras can see all sorts of interesting issues within the human body, even things like small tears that are in blood vessels or veins, or blockages near the heart or brain. For people that are willing to put out videos in a new interesting format, you can buy a 360° camera and do some recording. The basic output from these cameras is often streamed in a form where people can look around in a circle or slide a mouse around the screen and see a complete overview of everything that has been recorded. This is great for any type of event, or even for things like looking around the house from a real estate perspective. For anyone interested in capturing images underwater, there are a whole different set of underwater cameras now available to scratch that itch that you have. Some cameras are waterproof as their primary design, whereas others have some type of waterproof case that you can put them in. In any case, a lot of the shots that come out can be really neat from that perspective. And finally, if your drone is powerful enough to carry a camera up in the air, then you get all sorts of great overhead shots. 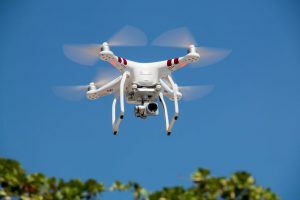 Some drones are even built with cameras already installed in them, and from that point you just have to know how to work them either with your cell phone or some type of iPad controller.